Long time since last post, I didnt work on Ninjaki this week too, But I have good news for some competitions. First Thing: My Game Bactoriam is now featured on KwikLook Blog. Second Thing: QOG is making Birthday Compotition for making a game in 3 hours which must contain either one of these stuffs (Candles – Gifts – Sugar – Clowns – Cone Shape Hats). All the entrants will recieve a small review on his website and the winner will get large review. Dead Line is 16th September. For more info here is the link. 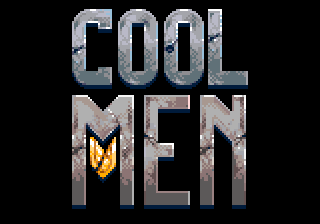 Third Thing: The Owner of Blog Mouse No is running a contest for artist for drawing a wallpaper for his game Cool Men. Top 3 posters will recieve a copy from the beta. For more information here is the link. Fourth Thing: The New compo for Experimental Gameplay has been launched couple of days ago. The theme this month is Failure. For more information here is the link. This entry was posted in Bactoriam, Competition, Experimental Games, Games, Mouse No, News. Bookmark the permalink. but why r they writing your name wrong ?